Since Komodo Island – Komodo National Park – has been declared as one of new 7th wonder of nature, there are many cruise lines or cruise ship companies serve komodo island tours or shore excursions for Komodo Island. Some of the cruise ships come almost every year are P&O Cruises, NCL, MS Volendam, Princes Cruise, Holland America Line, Azamara and many more. In 2018, 39 cruise ships visited Komodo Island and it will increase to 45 scheduled to visit this island in 2019. Based on our long experiences in guiding tourist to Komodo National Park and as a local tour agent, we offer Komodo Island tours package especially for guest coming from cruise ships in 2019. In this independent tour and private tour, we will give you affordable price, best service, reliable, responsive and we guarantee you to see dragons, offering you different treks, make you easier and more chances to discover the dragons. 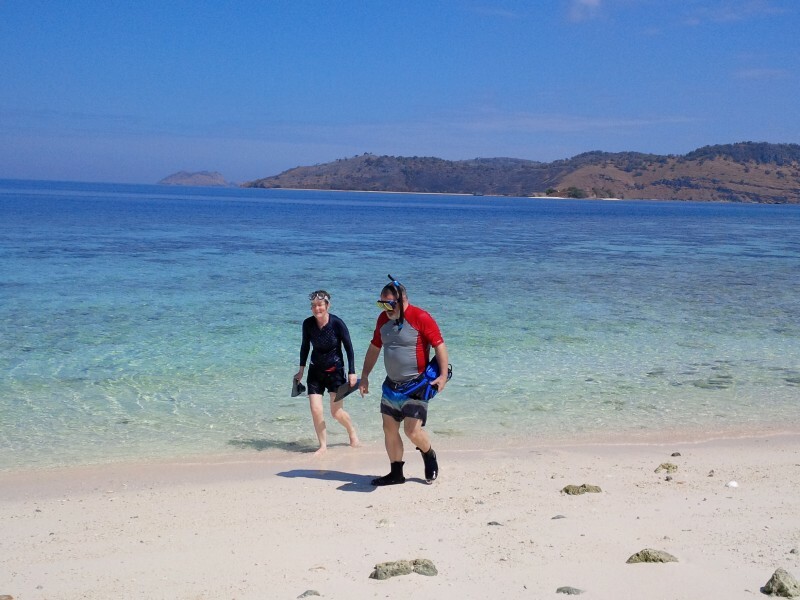 This Komodo Island Tours package is designed specifically so it will be easy, save and fun for everyone to do trekking on the island of Komodo to discover dragons and snorkeling at beautifull Pink Beach. As a Local Tour Agent, we are also concerning with the high issue that is safety. 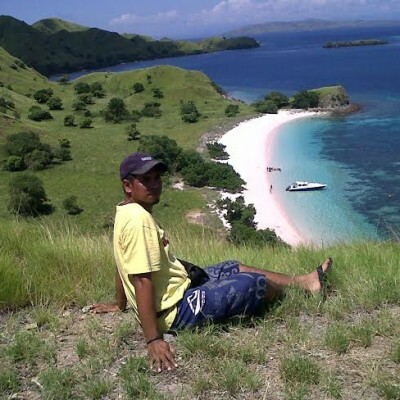 In this komodo island tour package, we will make sure that all guests will be safe during their trip. In one group (big or small), you will be accompanied by one tour guide, one ranger (naturalist guide) and several keeper or local people who will keep an eye and help carrying your luggage during the trip. Most of guest who order this komodo island tours come to visit Komodo island and snorkeling at Pink Beach. There are also some guests are interesting in visiting Komodo Island Village to see their traditional house. Komodo island is also known as the natural habitat of the biggest monitor lizard in the world, a prehistoric monster from a forgotten era, Komodo dragons. On arrival at Komodo Island port, you will be welcomed by our representative team, tour guide and ranger who will accompany you to enter the Komodo National Park. After a small briefing, our tour guide will lead you walking on trails to several spots to discover the dragons such as Water Hole, Fragata Hill, Old Kitchen and many more where the dragons lay down waiting for their prey. When you are walking off towards the interior of the island, our tour guide will point out and explain some various flora and fauna as you pass and also you will hear screech of several birds in the tall trees such as Green Imperial Pigeons and Yellow Crested Cockatoos and many more. Some wild animals such as Wild Beast, Timor Deer and Wild Chickens can be also found along the trails. 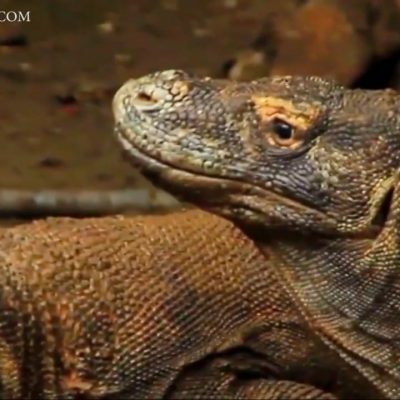 In a few minutes, you will see the endangered species Komodo Dragons closely lying down around the water hole. The dragons roam freely across the island and are not fed by the locals to make them quiescent for the tourists, because any dragon could turn up anywhere. After discovering komodo dragons, guests will continue to do shore excursion to Pink Beach by riding our motorized boat. It takes around 40 minutes boating from Komodo Island port to the beach. Pink Beach is one of the best snorkeling spot in the park. When guest order long tour around 4 – 5 hours, they will have chance to visit and snorkeling on this beautiful beach. This beach gets its pinky color from a red fragments of the coral reefs. In local tongue it is called Red Beach. When the tiny fragments of red coral combine with the white sands, this produces the soft pink color that is visible along the shoreline. When snorkeling or swimming, you can start from the boat trip, or if you don’t want start snorkeling from the boat, we have small transfer boat to the beach where you can start snorkeling or just laying down on the pinky sandy beach. Lunch will be served on the boat before coming back to your cruise ship. 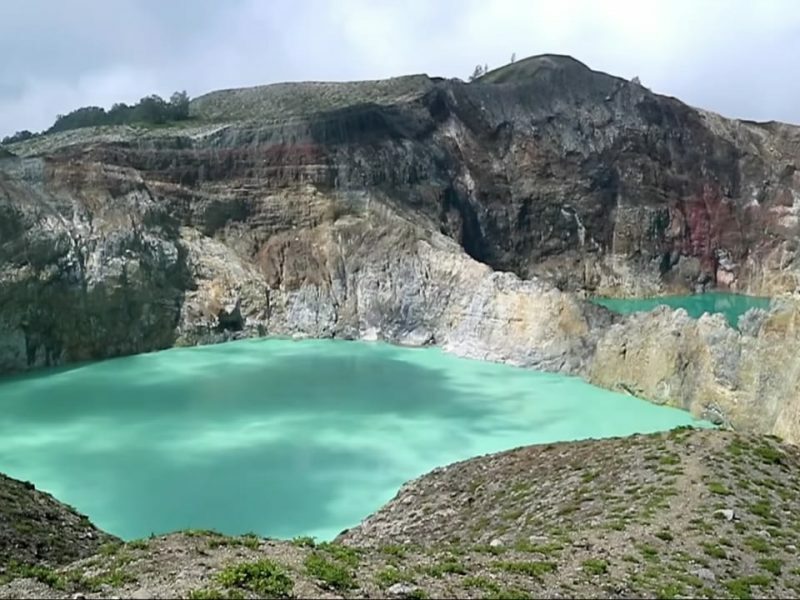 In this tour, guest will be lead to discover dragons not only at Tamarin Forest, but also at some certain safe spots that not many people or big group arranged by your cruise ship allowed to go because of limited time and quantity of people in one group is too many, around 25 – 30 people. We also will lead you to do trekking to Fragata Hill where you can enjoy stunning view of Komodo Island Bay from top of the Fragata Hill. This tour will take around 1,5 – 2 hours and will end at Water Hole around Tamarint Forest where is the last spot to see dragons. 00:00 – 00:30 hr – meeting our tour guide/ranger on the Komodo Island port. 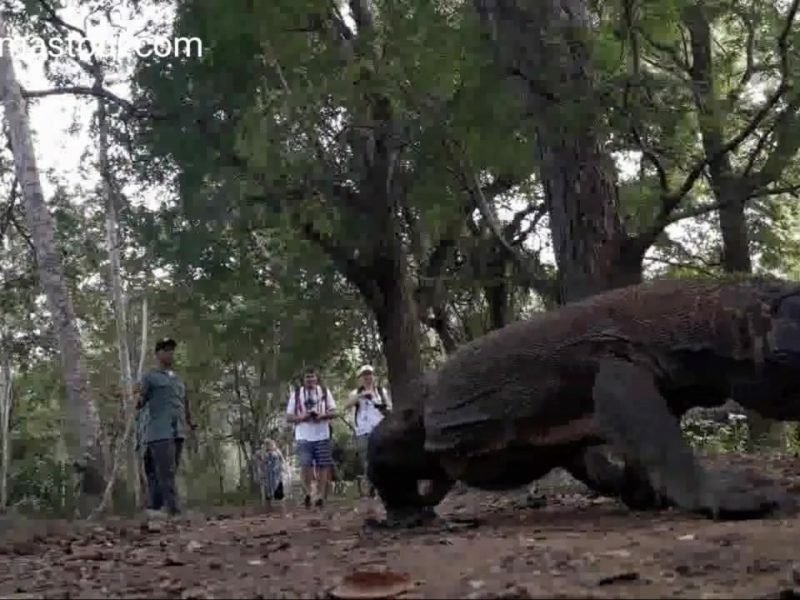 00:30 – 02:00 hr – trekking to Old Kitchen, Fragata Hill and Water hole to see the komodo dragons. 02:00 – 02:30 hr – back to your cruise ship. All entrance fees, camera fees and ranger fees. Price USD 101.61 pp, minimum 2 people. 00:30 – 02:00 hr – trekking on small trails to Old Kitchen, Fragatha Hill and Water hole to see the komodo dragons. 02:00 – 02:30 hr – cruising to Pink Beach, (lunch will be served on board). 02:30 – 04:00 hr – snorkeling and swimming at Pink Beach. 04:30 – 05:00 hr – back to your cruise ship. All entrance fees, camera and ranger fee. Snorkel equipment (masker or goggle only). Should you have any questions regarding the Komodo Island tours, fell free to drop your message at komodomastour@gmail.com. If you want see more about Komodo Island Tours related to this package click here.